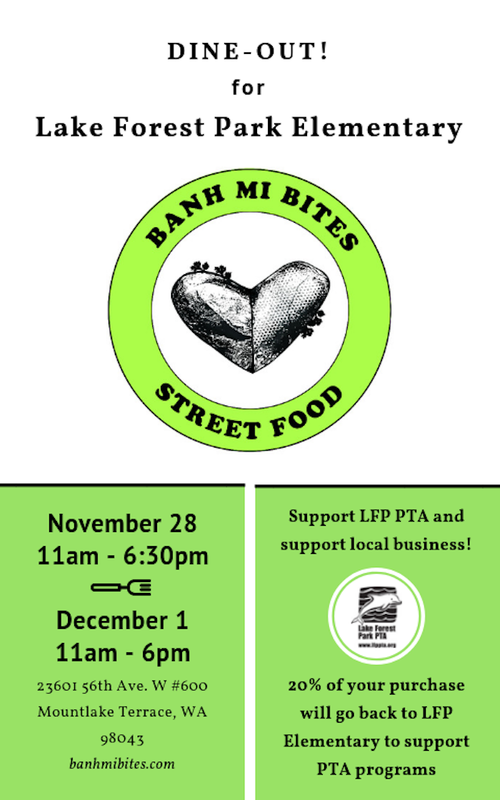 Banh Mi Bites is Partnering with Lake Forest Park Elementary this Wednesday and Saturday to raise money for their PTA! Dine-Out at Banh Mi Bites on November 28th from 11am - 6:30pm and/or December 1 from 11am-6pm. 20% of your purchase will go back to LFP Elementary PTA! Bahn Mi Bites 23601 56th Ave W #600, Mountlake Terrace 98043.